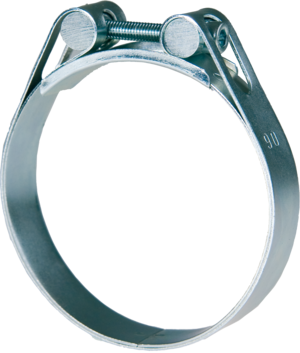 A big, strong clamp producing a secure and careful grip around powerful hoses. 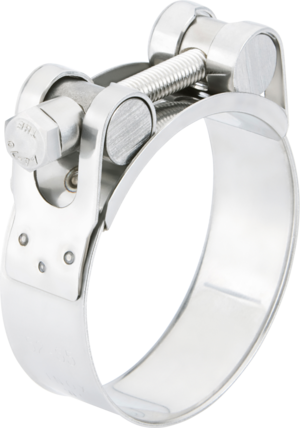 The Robust Acid resistant clamp is used where great tightening forces are needed - for instance large and reinforced hoses within agriculture, irrigation, drainage systems, sludge suction etc. 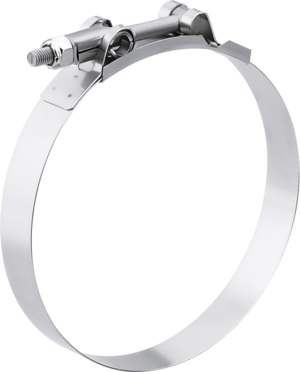 where there is a high demand for durability and a safe functionality in spite of tough handling and severe conditions.The curve radius of the band bridge, the even transitions between the parts and the band as well as the smooth band underside give a good contact surface against the hose and consequently good sealing.